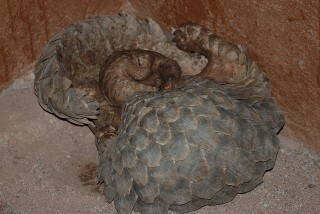 A baby white-bellied tree pangolin nurses while its mother sleeps. While this is a tender moment that conveys the gentle nature of these animals, it comes with a somber reminder of challenges they face. In February of this year, I joined the non-profit Pangolin Conservation on a trip to Ghana and Togo in an effort to document the bushmeat trade of pangolins in the region. Pangolins are commonly victims of the bushmeat crisis that has spread throughout many parts of the world, and these two were destined for that very same fate. We came upon a person holding them in a sack who was negotiating to sell them to someone for food. The mother had given birth in the sack within the past day or two, and they were both in poor health. Despite every effort, their condition was at the point where they were unable to be saved. While bushmeat has always been a source of food in rural areas, recent decades have seen an increase in its commercialization. 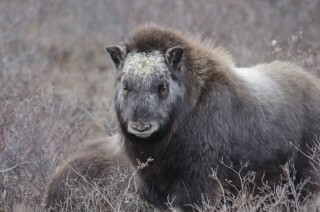 This has led not only to widespread declines in wildlife populations but health risks to humans as well. 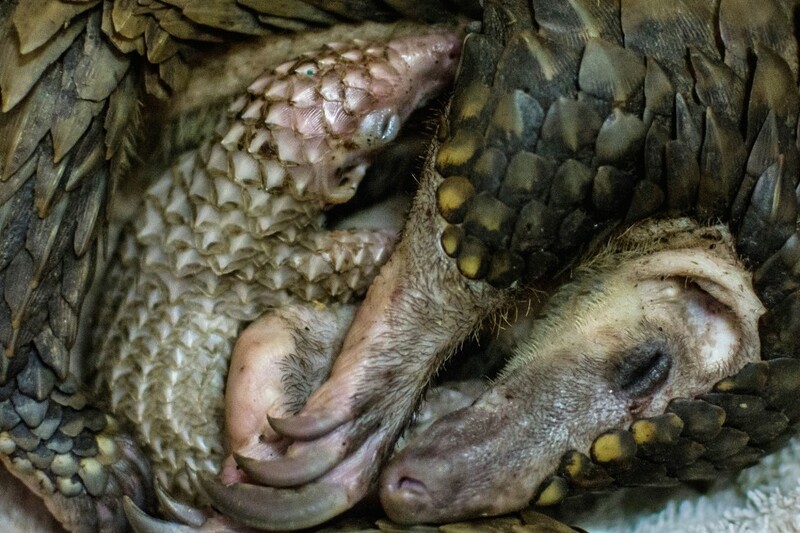 The story of these pangolins serves as a sobering reminder that work has to be done, but it is important to do so in a way that is constructive. Simply disapproving of the practice and denouncing those who rely on it does nothing to deter its perpetuation. Public education and improved regulation enforcement are necessary if we are to help pangolins and see the end of this unsustainable practice. EDITOR’S NOTE: This photo was chosen as our top submission from our Wild View Baby Assignment. 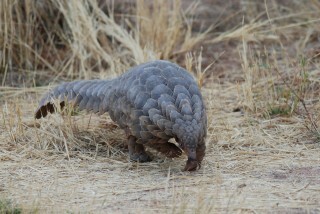 WCS is working to get greater protection for pangolins (also traded internationally for their scales and meat) at the September 2016 CITES meeting in Johannesburg, South Africa.